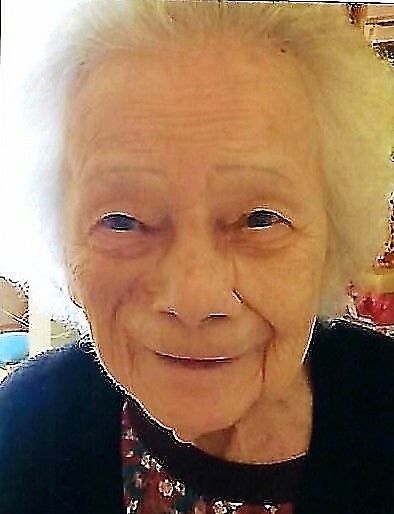 Delia Theylon (Schultz) Wilson, 94, of Byesville, passed away Wednesday (November 29, 2018) at Cardinal Place in Cambridge. She was born October 16, 1924 in the Philippine Islands, and was the daughter of the late Harry and Marciana Schultz. Delia enjoyed playing bingo, corn hole, casino gambling, and interacting with friends at Cardinal Place. In addition to her parents she was preceded in death by her husband, Henry F. Wilson whom she married March 25, 1981 and passed away June 23, 1997; one brother; two sisters; a grandson, Bobby Rasor; and son-in-law, Bob Rasor. She is survived by one daughter, Betty B. Rasor of Byesville; one granddaughter, Michelle (Jonathan) Muro of Wooster; two great grandsons, Nicholas and Jacob Muro; and the Milton family of Byesville. A graveside service will be 11:00 a.m. Monday at Greenwood Cemetery, Byesville.